Dan's Movie Report: Eric Jacobus Interview (2018) A Dan's Movie Report Exclusive!! Blindsided: The Game Chat! Eric Jacobus Interview (2018) A Dan's Movie Report Exclusive!! 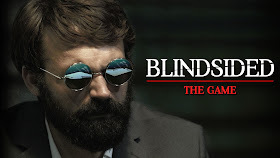 Blindsided: The Game Chat! Greetings valued Dan's Movie Report readers, what else can I say, Eric Jacobus has been on my radar for 16 years, and this marks our 5th interview including my Kung Fu Cinema days. Eric is a bearded man, who has a unique vision in action. Sarcastically inventive, yet quietly understated, Eric has carved his niche in indie cinema and the World is taking notice! 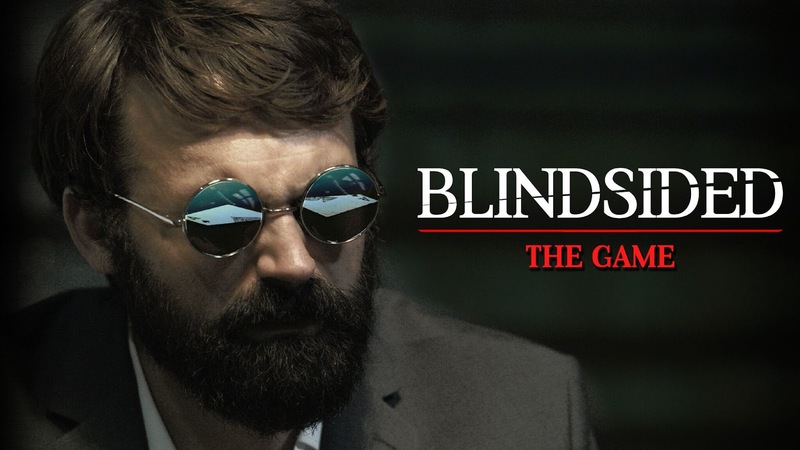 During this special, exclusive short interview Eric discusses his new short, Blindsided: The Game. Get your cane, your truculent microcosm Shih Tzu, and deal up a hand with Eric! Chat about working with Clayton and David and expanding the universe of Blindsided, actually this is the longest short you have done , of course you did the feature Death Grip. Blindsided left people wanting to know what happens next. We knew we had to expand the world of Walter and Gordon and apple pie, and we tossed around the idea of doing a feature film and an unrelated short, but we always went back to the fans. The fans wanted to know what happened, so we went that way. We had to go into the dark world of gambling and the mob, so we created the Sal character and connected him with Gordon, and suddenly we had a whole universe to play with. What are some of the initial ideas that did not make it into the expanded Blindsided: The Game? I actually can't think of any. Clayton and I pegged the story pretty early on. What you see is what we were penning from the beginning. Say something about working with Luke Lafontaine, he has some really creative ideas about action. Luke was hands on with the choreography and we'd go deep into the history of Zatoichi. He knows every sword movie ever made, so you can never surprise the guy. Give him a morsel and he creates a whole movie out of it. Then we scale it back and pick out the diamonds, and those are our fight scenes. Above: Eric Jacobus as Walter saves Jogger and Make Up artist Karen Pang from harms way, and looks good doing it! This is the mark of a true gentleman! I asked this of Clayton and David, do you ever want to expand on Blindsided: The Game concept to make a feature film? Have you approached investors? We'd like to do a feature or a series. It's more important to find the right people or company to carry it forward. This happens with almost every project I work on. Someone says, "Hey, your last project was brilliant, funny, original, and had great action with great composition. In my movie I want you to play a cold-blooded killer and do Borne Identity-style fight scenes and we'll shake the camera a lot." People always want to transform your project into their own. So we have to be very careful about that. Talk about rehearsing the various fights: what are some of the new techniques and action you learned along the way? We start with the story. Walter has a sword, these guys have guns. You can't make a long, intricate fight when it's a sword versus a gun. We could do "gun-fu" or flail the sword around for five minutes like a Rurouni Kenshin fight scene, but that would only service our egos as stuntmen. You lose people with that mindset, so as stuntmen who are creating from the ground up we have to pull back and ask, "What's the story here? What are the key moments to capitalize on?" Takeshi Kitano made memorable fight scenes out of a single move - jamming the hammer on a revolver with his thumb, or putting a bullet in a guy's mouth and socking him. This is smart film-making, so we start there. The choreography falls into place effortlessly then. Finally, what is on deck in action for Eric, new projects and short films, maybe big budget surprises? JB Productions is working on the next short, and I've got some game-related projects in the pipe that should excite some folks. I've also been invited as the guest to Festigame Chile in Santiago Aug 3-5, where we're setting up a very cool live demo. You'll have to wait and see for that one. Thanks Eric!, I am sure we will catch up when the next big project is released!